Longanisa is one of the things I knew I would miss after going vegan. It’s not just the taste of it. It’s like this connection to my culture, something I can mention to any Filipino person that will instantly bond us. We didn’t have it often growing up which is a good thing when you consider how fatty it is. 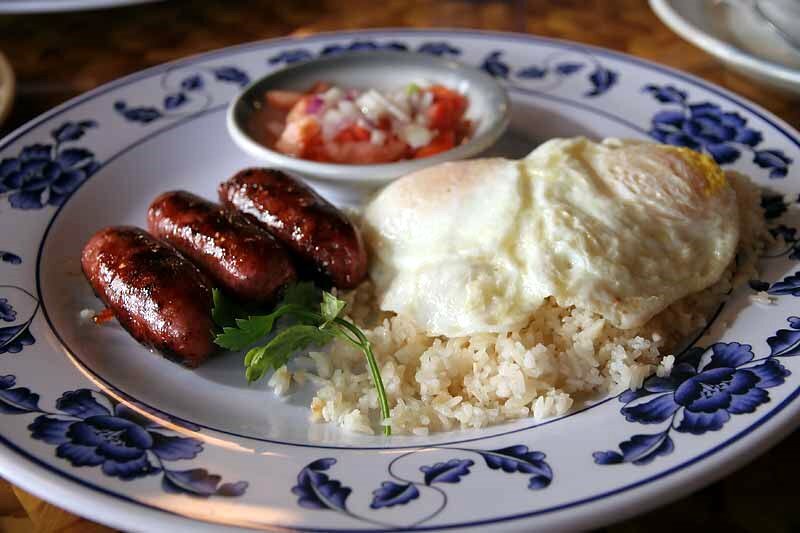 Longanisa is like the frozen Ramen noodle for Filipino-American kids when they move out of the house and want something that reminds them of home. So, yes. I miss longanisa, and I had accepted the fact that I would probably never eat it again. But then, I decided to try and veganize it. 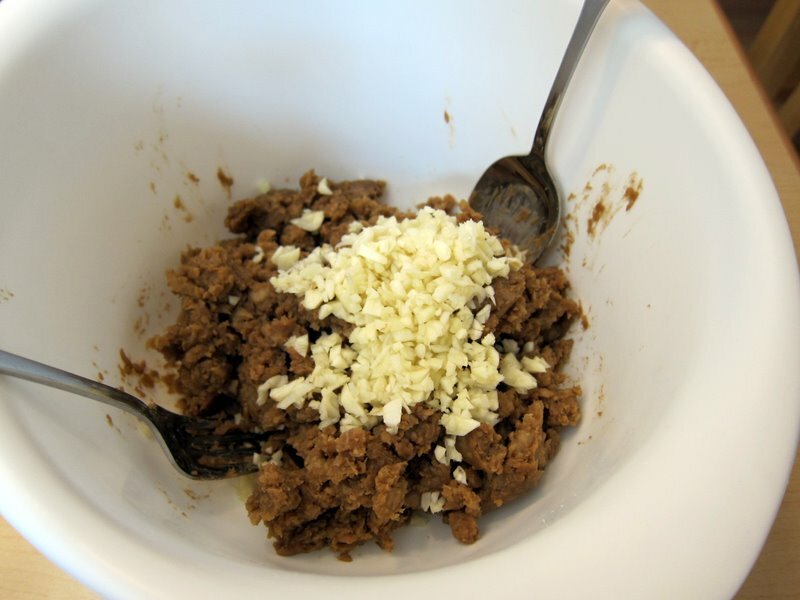 First, I minced the garlic and then tossed it in with the ‘meat.’ I set it aside and then mixed together the dry ingredients in a small bowl. I added it to the ‘meat’ mixture along with the vinegar. Then I mooshed it all together. I formed the ‘meat’ into small sausages (about the length of your average breakfast link but with more girth… heeeheh… girth). I ended up with 16 sausages. I put them in the fridge to chill. 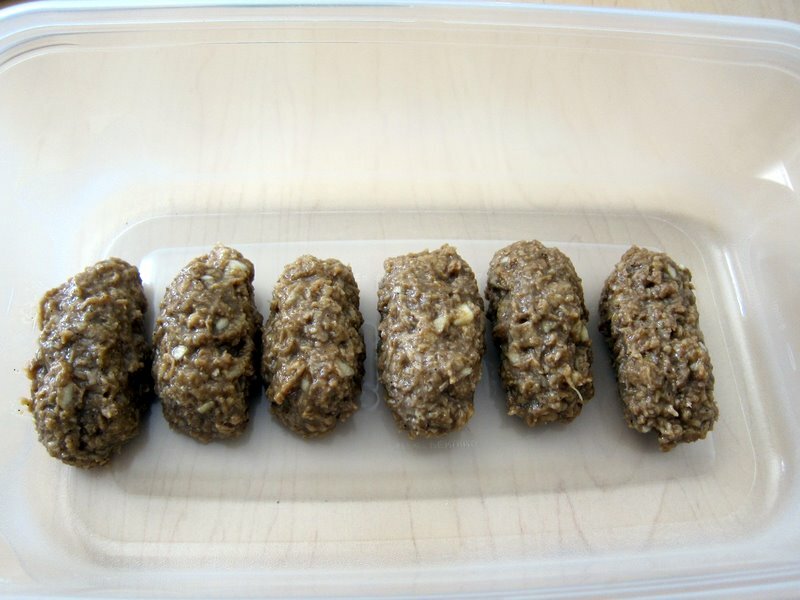 I won’t comment on how they kind of look like poo. Oh, oops. I just did. Hmm… maybe the whole purpose of adding annatto powder is to make it look less like poo. Traditional longanisa recipes call for the meat to sit in the fridge for at least one hour, preferably for over 24 hours. I couldn’t wait so I took some out after about 2.5 hours and fried them up in safflower oil over medium heat for about 10 minutes, turning every 2-3 minutes. 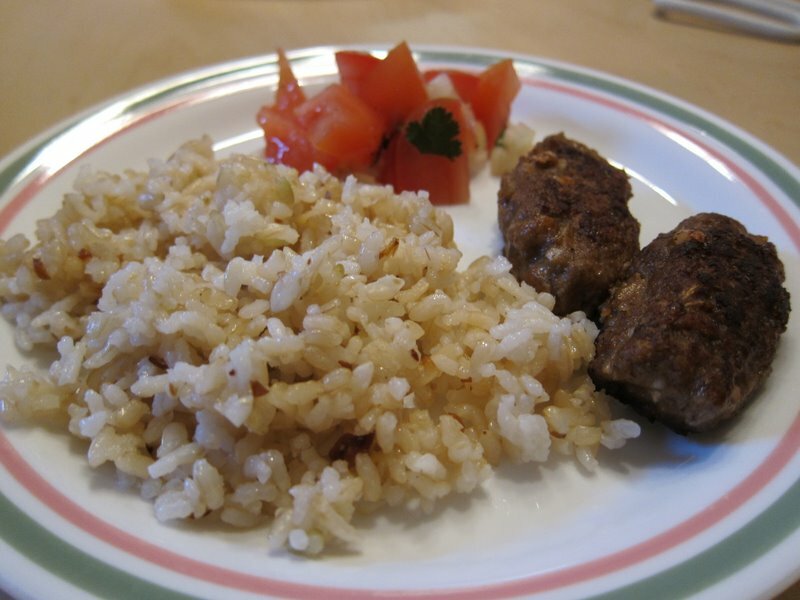 I made some sinangag and a salad of tomato, onion, and cilantro to accompany my longanisa. I have always felt like being Filipino and loving Filipino food would make going vegan an impossible challenge. I’m glad to have proven myself wrong yet again. Is the recipe exactly like traditional longanisa? No. But it’s a great substitute that I know I’ll improve on with every try. As a bonus, it has ZERO cholesterol. Who wants all that pork fat anyway? Gross! Looks good! To the best of my knowledge, I’ve never had any Filipino dishes, but this looks like a good one to perhaps add to my repertoire…I love the “gimme lean”, etc., products. 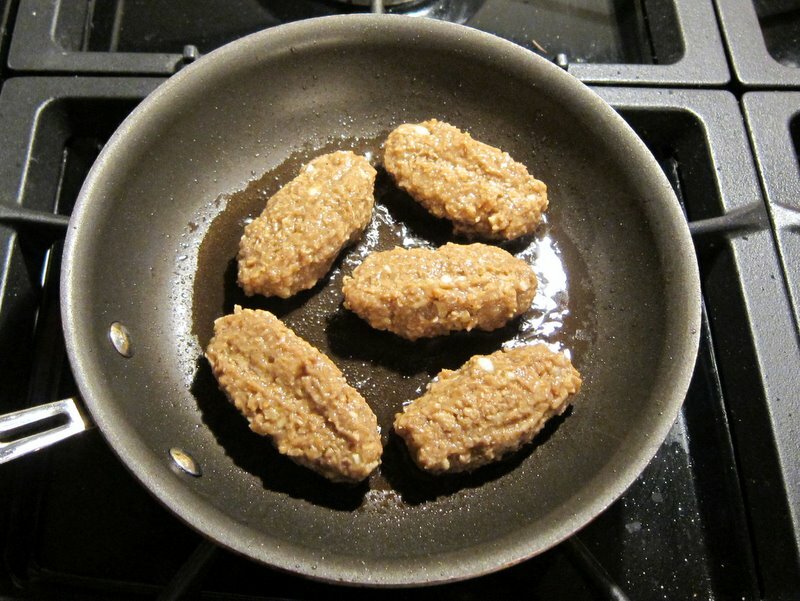 They are really, strangely, meat-like in a lot of ways. Yay for you! I’ve veganized a few of my family’s (Italian heritage) favorites and it makes me feel pretty good to do. Keeps me connected yet allows me to eat the way that feels right. Wow! I just turned vegan a couple of months ago. And this looks good! Im going to try it. Thanks for sharing! Awesome! FYI – this is a very vinegary version. If you’re used to a non-sour version of longanisa like I am, I would cut back a lot on the vinegar. 🙂 Good luck!